Eleni Theodorou is an Anti-Bullying Educator and children’s author. She holds a bachelor’s and honor’s degree in psychology from the University of Pretoria in South Africa, and a master’s degree in sports psychology from Capella University in the United States. “Noko’s Culture Of Compassion Campaign”. Her program is currently being integrated into the school curriculum by various Boards of Education in New Jersey with exciting and lasting results. Eleni Theodorou is also a dedicated volunteer to special needs children, senior citizens, and animal shelters and is an actively involved in community-focused endeavors. 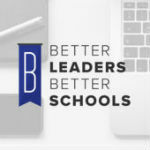 This Mastery Leadership Institute is an intensive, three-day professional development retreat facilitated by nationally recognized principals. Educators will be immersed in full-day workshops focused on strategies to effectively use data to target interventions, personalize learning, and evaluate instructional efficacy. Attendees are part of a dedicated cohort that will meet in monthly coaching sessions with other like-minded educators from across the country. Transform the data culture in your school and get your teachers using data in just two days, with proven strategies like the 48-hour Challenge. True school transformation is only possible when educators are empowered to use the data they collect to immediately impact teaching and learning. Learn more about the Mastery Leadership Institute including upcoming dates and locations here.